The construction phase is ready to begin, and we’ll be with you every step of the way. Now is when your project is finally going to start coming into focus. While your end-users, donors and even the neighbors may all be checking out the progress, don’t worry. During the construction phase, we’ll mobilize our on-site staff of experienced builders — collaborating closely with you and the entire project team to make your vision a reality so we’re all ready to celebrate together on opening day. On any construction project there can be a variety of moving parts and pieces. Budget and schedule details, evolving design, changing building models, and even owner stakeholders may all be shifting as the process unfolds. 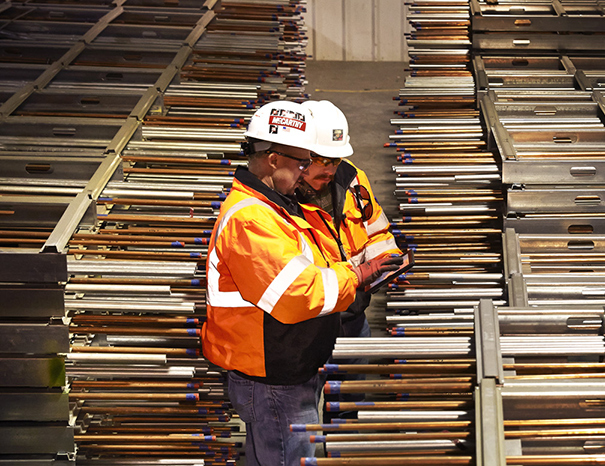 This is where an industrial construction company with hands-on building experience, technical know-how, strong trade partner relationships and a knack for looking at things a little differently all come into play. To get started, the entire team needs to have access to accurate, real-time information ─ what we call a “Single Source of Truth.” Information you can access at any time and will have confidence in that it’s an up-to-date snapshot of your project. This was the impetus behind the creation of our collaborative McCarthy Project Team Portal. Our online portal is just one of the many technology tools we use to improve efficiency, streamline decision-making and enhance communication during the construction phase. Next, we integrate this sophisticated technology with our long history as a successful, national self-performing commercial general contractor. This means we’re not just a "broker" of subcontractors ─ we’re a commercial building contractor capable of performing the most critical work to keep your project on schedule and set quality standards. You can count on us to really understand what’s ahead and dig in to develop innovative solutions in an open way. 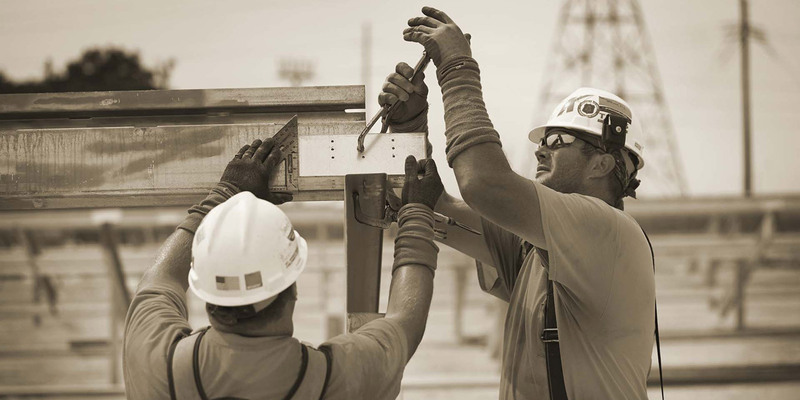 Our control over the entire process sets us apart from other large construction companies. You’ve got a deadline to meet, and we’re committed to helping you achieve this, safely, with the highest level of quality and at the best value. Our collaborative approach to scheduling expands on your schedule developed during the Design Phase and improves team buy-in. We then fold in our historical data and knowledge of the local contracting environment together with our experience as builders to keep your project on track, from the first day we break ground all the way through commissioning and start-up. McCarthy is a trusted partner who truly believes in taking care of its clients. Modeled after processes first seen in automotive and manufacturing, lean construction techniques help eliminate waste and streamline project efficiency. From allocating resources in the right place at the right time to prefabricating components of the work offsite, we’ve woven lean construction techniques into all aspects of the construction phase to work faster and smarter for you. Commercial construction projects offer a chance to involve the community in a wide variety of ways. To help, we’ve implemented a wide range of Minority Business Enterprise (MBE), Women-Owned Business Enterprise (WBE) Disabled Veteran Business Enterprise (DVBE) and Small Business Enterprise (SBE) compliance programs. Our goal is always to contract with the trade partner who can best comply with your requirements and deliver performance of the highest quality in a timely fashion. See how we can put our construction team to work for you. View What Role do Contractors Play in Green Construction? This notable recognition can only be attributed to the exemplary work of every employee owner who works diligently, going above and beyond on every project to ensure our client’s needs and desires are met. The building represents the third in ASU’s Biodesign Institute complex located on the main campus in Tempe, Ariz. The performing arts center is one of nine projects in the district supported by the four-phase Measure N Signature Project program.